Prior to your recent study, how much was known about the eye damage light emitted from digital screens can cause? Previously, our research team had conducted studies of in vitro retina tissue where the effects of cell damage and even the mechanisms of action were demonstrated in this experimental situation. Other research groups have worked in-vitro and even in-vivo (with animals and LEDs but not with screens). It’s all about knowing the effect of the light of LED screens that are commercialized on the retina of living experimental animals (pigmented rats with eyes similar to the eyes of humans). The animal cages were surrounded with 6 tablets. The exposure was performed for 3 months in daily cycles of 16 hours of light and 8 hours of darkness. The animals were divided into 3 groups: a control group (not exposed to LED screen light), a second group exposed to the light of LED displays and a third group exposed to the same protocol of performance as group 2, but eliminating a percentage of violet and blue light by means of the Eye protector Reticare on the screens. The animals had normal food and drink on demand. Their retinas were analyzed by two means: first, the quantification of the number of neurons present in the retinas of the animals exposed to light without and with protection was carried out and the results were compared with the control animals (without LED screen exposure). In addition, a study of gene expression was performed that explains the process of cell death in the retina. When the screens emitted less amount of blue light due to the absorption produced by the Reticare eye protector, the cell death of the animal retinas was similar to that of control animals (not exposed to tablets). However, retinas of animals exposed to unprotected LED screen showed a 23% retinal cell death. In addition, all factors involved in the process of apoptosis (programmed cell death) were inhibited or neutralized by the use of the Reticare protector. We did not expect such high cell death. It should be taken into consideration that the life expectancy of these animals is 10 years and that they were only exposed to light for 3 months. At that time both dead neurons (23%) and indicators of the death process were very high compared to the control animals and the expected results. How different are rats’ eyes to our own and do you think the results would hold true in humans? According to current legislation it is mandatory to initiate scientific studies of in-vitro cells, then in experimental animals and finally in humans (clinical trials). As it is known, the results in animals are not directly extrapolated to humans. However, they indicate, in general, the process that can occur in other living beings as it is the case of humans. What can people do to protect their eyes from the damage of LED screens? It is important to act using preventative measures before needing to use curative treatments. To do this, different solutions must be used to make the protection as efficient as possible. First of all, Reticare eye filters should be used on the screen, so that the emitted light can be the healthier as possible. Periodic breaks should also be performed using the 20/20/20 rule (ie, every 20 minutes rest 20 seconds looking at 20 feet). The use of artificial tears periodically improves the symptoms of eye fatigue. Any additional precautions must be carried out. Are these protection methods scientifically validated? The UCM has worked over the last 15 years in the study of the effects of light on different eye structures. The research projects carried out have been funded by different public and private institutions. Chamorro, E., C. Bonnin-Arias, M. J. Perez-Carrasco, J. Munoz de Luna, D. Vazquez and C. Sanchez-Ramos (2013). “Effects of light-emitting diode radiations on human retinal pigment epithelial cells in vitro.” Photochem Photobiol 89(2): 468-473. Chamorro E, C. S., Bonnin-Arias C, Pérez-Carrasco MJ, de Luna JM, et al. (2013). “Photoprotective effects of blue light absorbing filter against LED light exposure on human retinal pigment epithelial cells in vitro.” J Carcinog Mutagen S6: 1-7. Why are children particularly at risk of eye damage? Human physiology defends itself from light in general by natural pigments in the fundus of the eye (macula) and by chromophores in the lens. Children, up to 4 years old, do not develop the macula ie the fundus. Furthermore, the natural protection against the light of greater energy is developed over the years. For this reason, children have a transparent crystaline whereas the crystaline of adults contains yellow chromophores that block both blue and violet lights. They can focus much closer and their arms are shorter so more light reaches their eyes. What further research is needed to understand screen risks to eye health? It’s always necessary to continue doing research on the damage processes in different eye structures to try to prevent future irreversible damage to the retina. 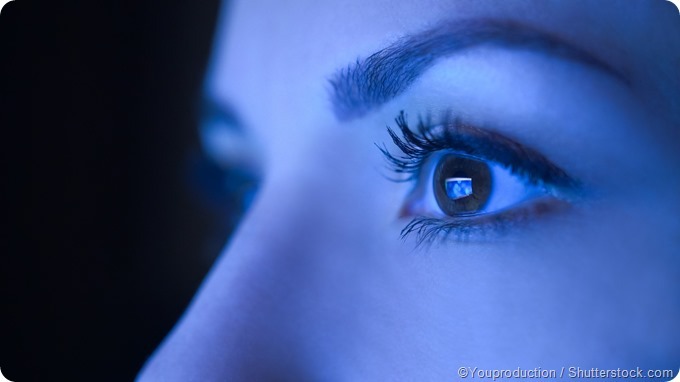 It’s important to understand that when the eyes stare at a screen illuminated by light, they look directly at the source whereas the eyes usually look at objects illuminated by light in general. 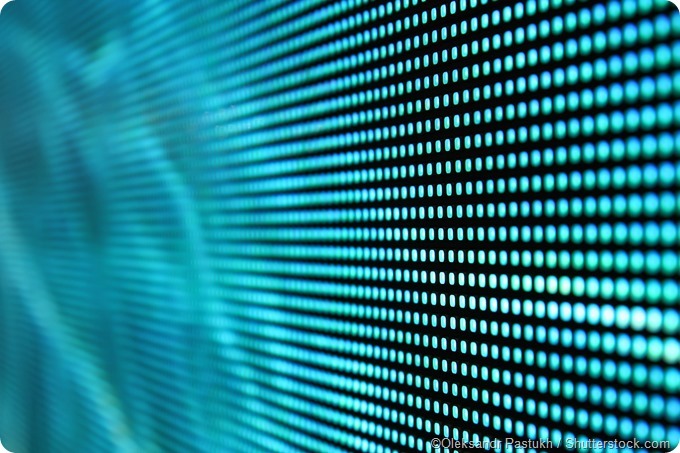 The fact of looking directly at objects that emit such energetic light (LED screen) is a completely new situation. What do you think the future holds for the use of LED screens? LED screens should be renewed so that we ensure that they emit a less energetic and higher quality light. Meanwhile it is necessary to protect the screen with a Reticare filter, which is a blocking element of high energy light. Behar-Cohen, F., C. Martinsons, F. Vienot, G. Zissis, A. Barlier-Salsi, J. P. Cesarini, O. Enouf, M. Garcia, S. Picaud and D. Attia (2011). “Light-emitting diodes (LED) for domestic lighting: any risks for the eye?” Prog Retin Eye Res 30(4): 239-257. Jaadane, I., P. Boulenguez, S. Chahory, S. Carre, M. Savoldelli, L. Jonet, F. Behar-Cohen, C. Martinsons and A. Torriglia (2015). “Retinal damage induced by commercial light emitting diodes (LEDs).” Free Radic Biol Med 84: 373-384. Shang, Y. M., G. S. Wang, D. Sliney, C. H. Yang and L. L. Lee (2014). “White light-emitting diodes (LEDs) at domestic lighting levels and retinal injury in a rat model.” Environ Health Perspect 122(3): 269-276. And at www.celiasanchezramos.com and www.celiasanchezramos.com. Celia Sánchez Ramos holds a PhD Degree in Preventive Medicine and Public Health (1994), she obtained a PhD Degree in Vision Science in European University of Madrid (2010), a Bachelor degree in Pharmacy and a Bachelor degree in Optics & Optometry at University Complutense of Madrid (UCM). Since 1986, she is a Professor in UCM teaching Physiologic Optics, Visual Perception and Neuro protection. Currently, she leads the Optometry and Vision Department and directs four Expert University Degrees relating to the visual function. She has been managing public and private research projects, both national and international, during the last 25 years being leader of knowledge transfer. She is PhD supervisor in several projects and collaborates in the publication and edition of various books, chapters, and scientific papers in her area of knowledge, in addition to the attendance of multiple national and international Congresses, meetings and conferences. She is one of the founders of Neuro-Computing and Neuro-Robotics Research Group in the University Complutense of Madrid. 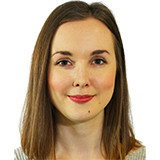 Currently, her research is based in animal experimentation and clinical trials about neurodegeneration, prevention and protection of the neuronal system.